This is the Ladybug craze! 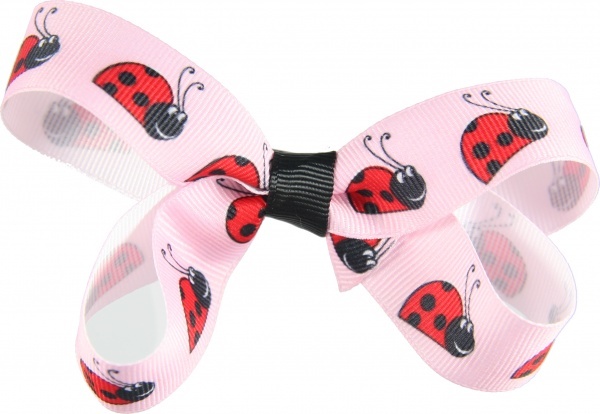 It has 7/8 inch pink grosgrain ribbon with red and black ladybugs crawling around. The center is wrapped with a 3/8 inch black grosgrain ribbon and is attached to an alligator clip. This is great for the side of the face or get two for piggy tails, it can easily slide on top of the larger base bows that have a flat center too.